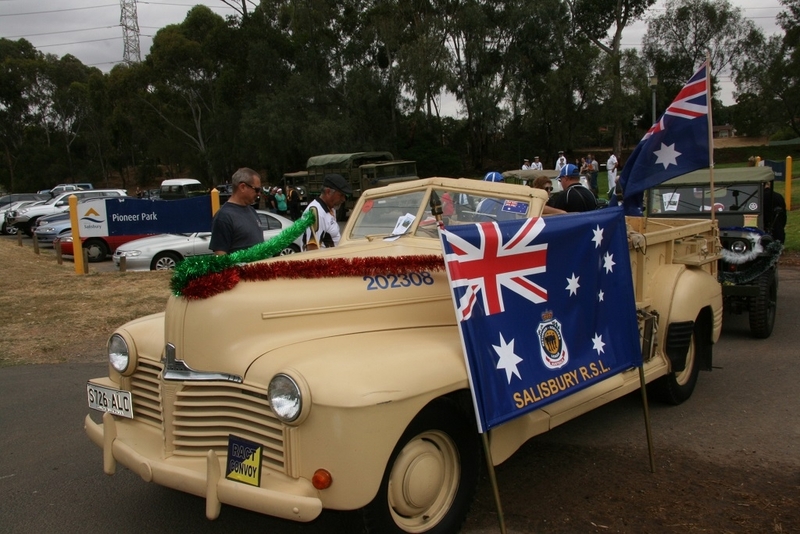 On Saturday, members of the MVPSSA took part in the annual Salisbury Christmas Pageant, in support of the Salisbury RSL. 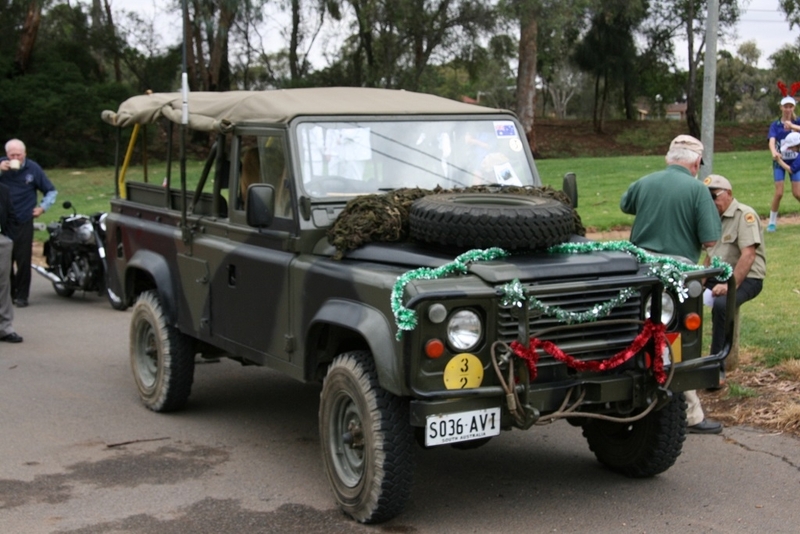 We had 7 vehicles arrive at the RSL at 0845 and departed with passengers and Christmas decorations at 0900. 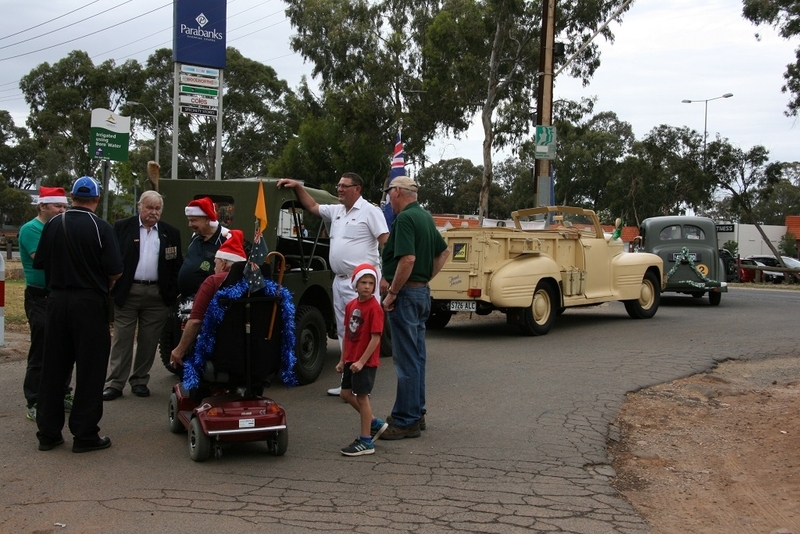 The vehicles arrived at the staging area at 0930, ready for the 1030 start, with Zoe Bettison in the Pontiac, and RSL members and families in the other vehicles. 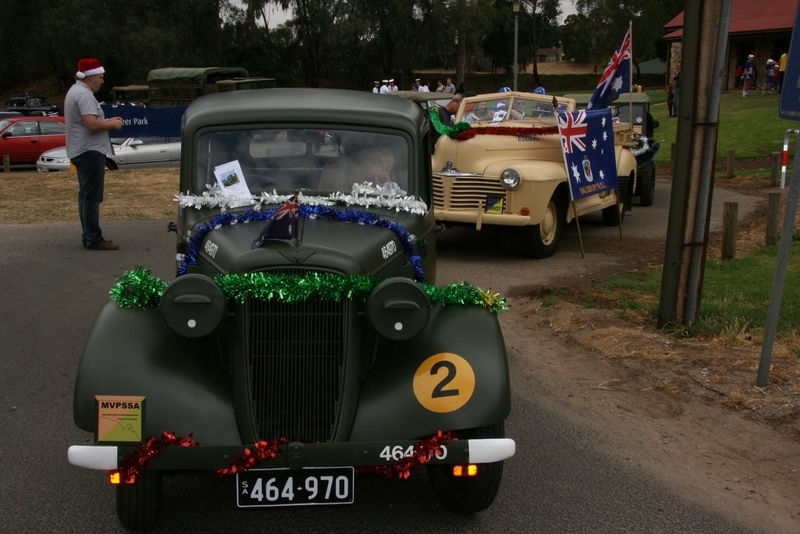 The parade was very popular, with many thousands lining both sides of the route with lots of waves, cheers and high fives all the way. We arrived back at the RSL by 1100, where there was a family day and BBQ, with stalls, a bouncy castle and other attractions. 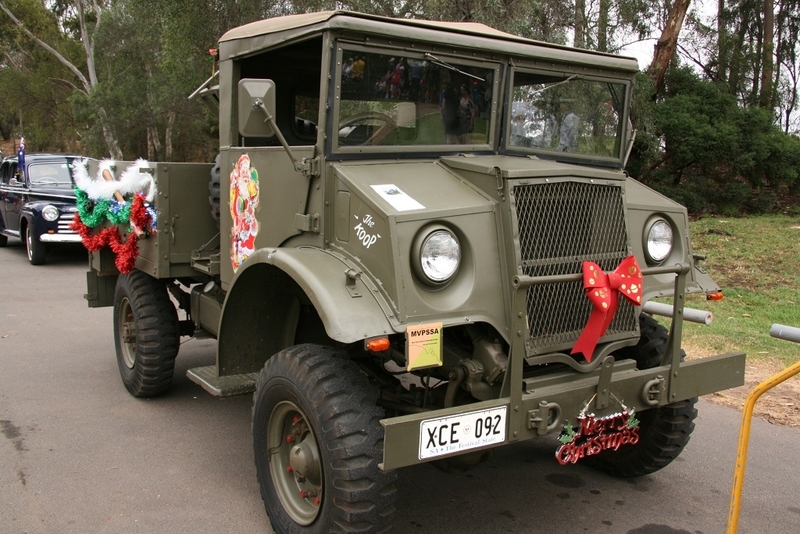 0845 arrival at the Salisbury RSL, vehicles – Inter 6 x 6, Koop Blitz, Richmond Landrover, Pontiac, Sams Jeep, Austin and Toyota Bus. 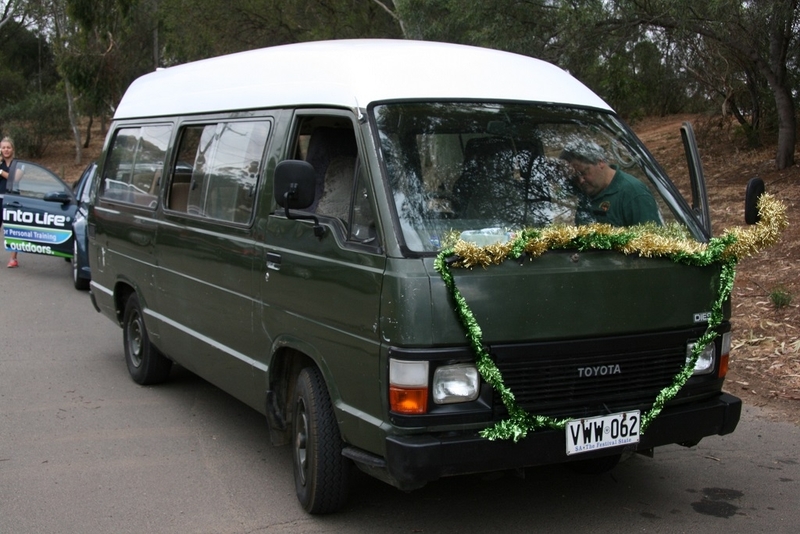 All decorated with tinsel and left the RSL just after 0900 with passengers on board.. Thanks to our drivers: Richmond, Hugh, Ryan, John Rowe, Sam, Ray and Russell. A stellar performance, as usual! The museum was visited on Friday night by members of two paranormal investigation teams; Lorena Lyon and her husband Dave from Lyon Paranormal, and Allen Tiller, his wife Karen and Jason from Eidolon Paranormal. 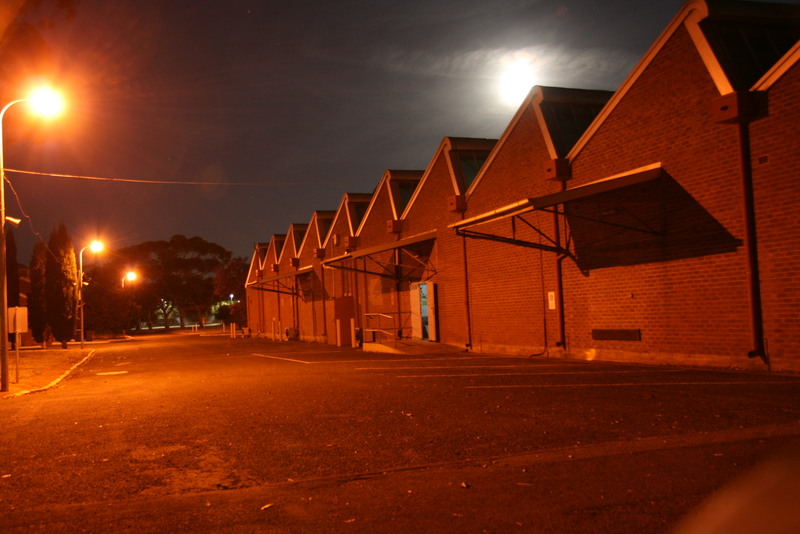 Allen was involved with the production Haunting Australia, which has screened in Australia and now screening in the UK. The night started at about 17:30, with Russell arriving and ensuring that all the buildings were open. Terry arrived at about 18:30. The two Paranormal Teams had a good look around and we doing their work through out the night and finished about 01:00 on Saturday. They were a professional group of people, dedicated to their field. They had a lot of gear; cameras, videos, all sorts of lighting equipment and took footage and recordings from many of the buildings, objects and vehicles. There was comment that they did possibly record / view some unexplained activity, but will need to review their data before making any determinations. Both teams were keen to come back again and investigate further. They were interested in the site during WW2, and also that we are the first “public” to occupy the site since construction in the 1940s. They were also interested in the memorabilia we have, such as uniforms, radios, books etc, that may have a connection with a person. It was an interesting night and certainly different to anything that we have done before at the site. 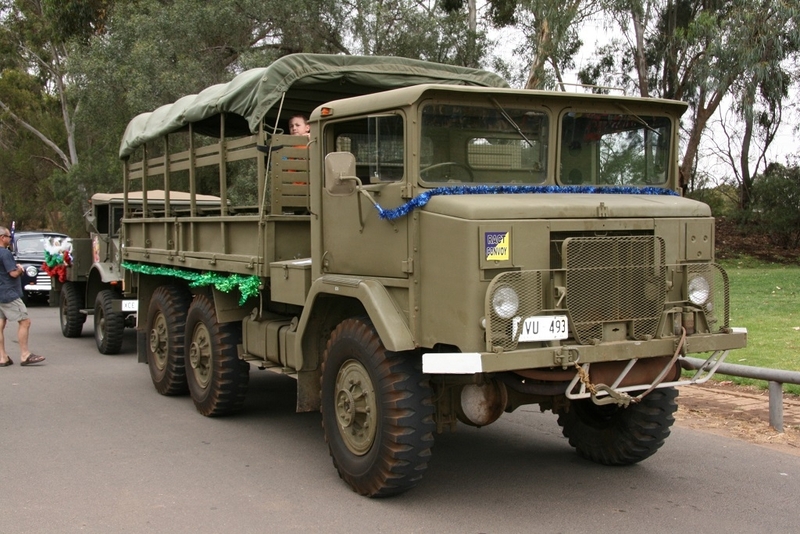 The Military Vehicle Preservation Society of South Australia was given the opportunity to host the Sausage Sizzle at Parafield Bunning on Saturday, and while it was fairly short notice, Russell took the lead and organised the event brilliantly, and a number of members volunteered to help out on the day. The day started early with Russell and Trevor starting at around 07:30 for the setup with the rest of the morning shift arriving soon after, with a Jeep and Saracen to put on display about 20 meters from the BBQ area. 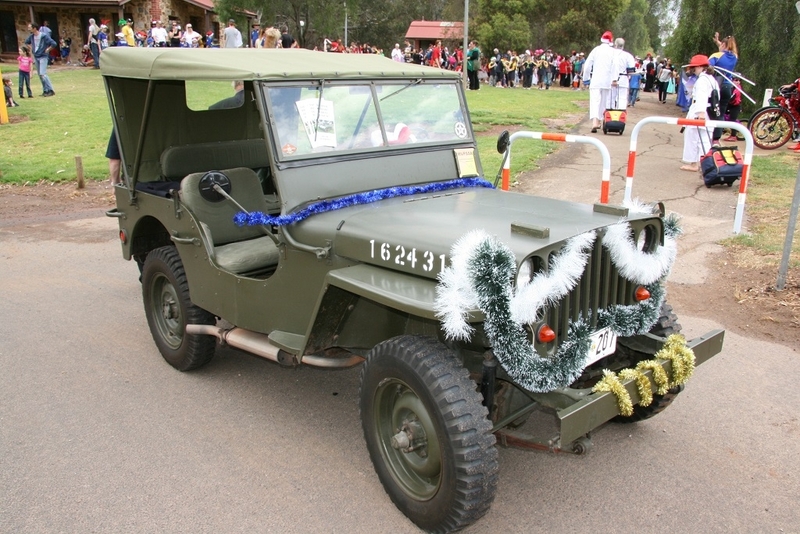 John C arrived wearing a replica of his grandfather’s Light Horse uniform and was armed with a donations bucket and a stack of flyers for the museum, and spent the most of the day at the entrance to Bunnings chatting to customers and handing out the flyers. The rest of us got down to work preparing, cooking and serving the sausages, and despite it being cold and windy to start with, the weather improved considerably and by about 10:00 it had become constantly busy, with the team working well together in order to keep the customers fed and the line moving. The change over to the afternoon shift was done with military precision and the customers kept coming, although it became apparent that we were starting to run low on supplies, which is probably a good problem to have, but meant that some emergency shopping had to be arranged with Russell’s wife Tracy coming to the rescue, making 3 trips throughout the course of the day. The vehicles attracted a lot of attention and there was usually one of our members nearby, talking to the public about them. It was unfortunate that we could not park them closer to the BBQ, but the nearby spaces were reserved for disabled parking. Despite the fact that he never asked for a donation, John proved very popular in his uniform and managed to give away all of the flyers, and raise over $550, which is an amazing result! While we still had plenty of stock, the customers began thinning out and we stopped cooking at about 17:30 and sold off the remaining inventory before packing up at about 18:00. 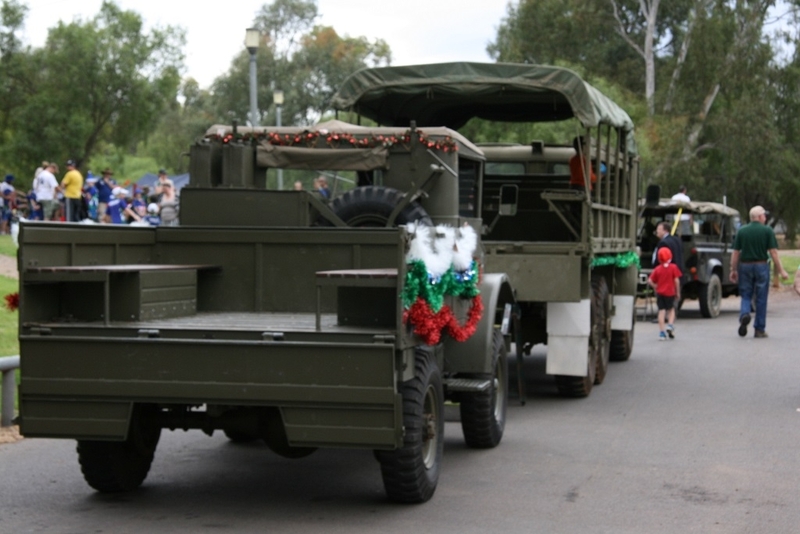 The modular BBQ that was provided by Bunnings was quite amazing and packed up into a fairly small package with surprising ease, after a good clean, with the only thing left to do was to pack the remaining stock into Russell’s car and drive the Saracen back to the museum. So after all this, how did we go? As you can see, a fantastic result, that will go towards our building fund! Bob (Baldy), Darryl, Don, Graham, John C, John F, Russell, Terry, Tracy, Trevor and Ray. We also need to offer thanks to Bunnings Parafield for inviting us to run the BBQ, to their hungry customers and special thanks to everyone that dropped a donation in John’s bucket; it was an amazing and humbling result.